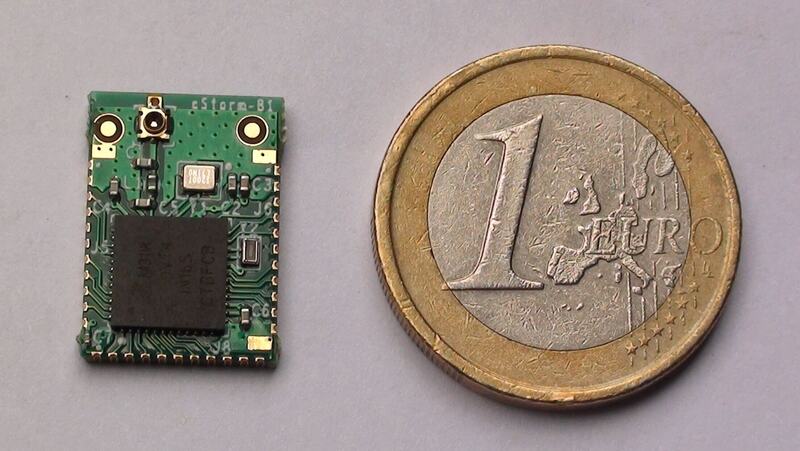 eStorm-B1 is a compact Bluetooth Low Energy v4.2 complaint wireless module from Embien. The Automotive ready BLE module is powered by NXP KW31Z/NXP KW36A, an ultra low power and highly integrated BLE SoC from NXP semiconductors. 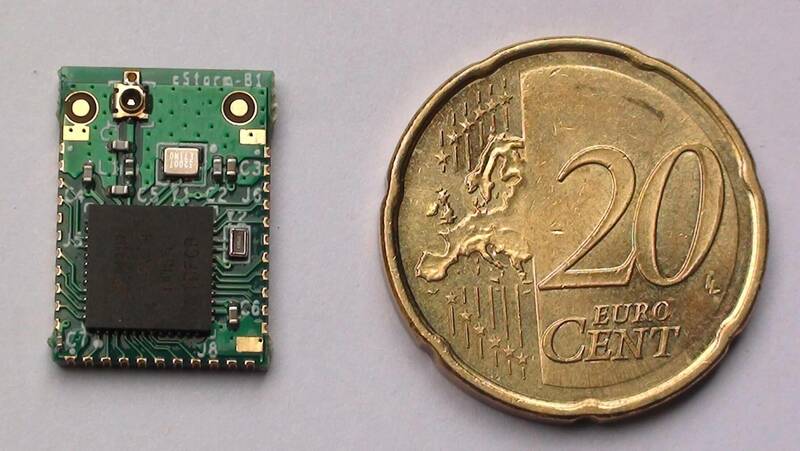 eStorm-B1 is best suited for BLE based IoT device development were low power consumption and very small form factor is of more concern. As a pre-qualified module, it enables rapid product developments in industrial, consumer and automotive sectors. 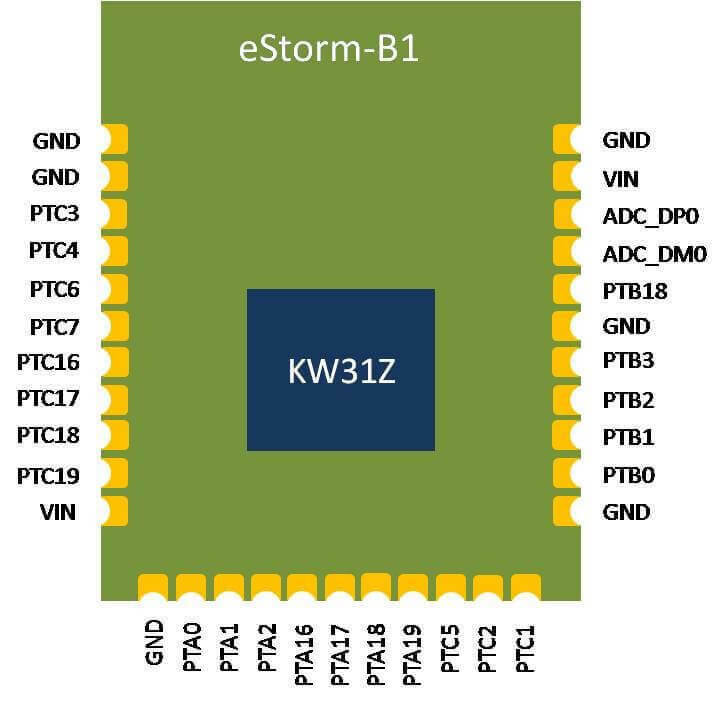 Designed for reliability and optimal performance, eStorm-B1 comes with complete BLE stack and various profiles. The module can be either used as an add-on module for an existing system or can be used as a stand-alone system. 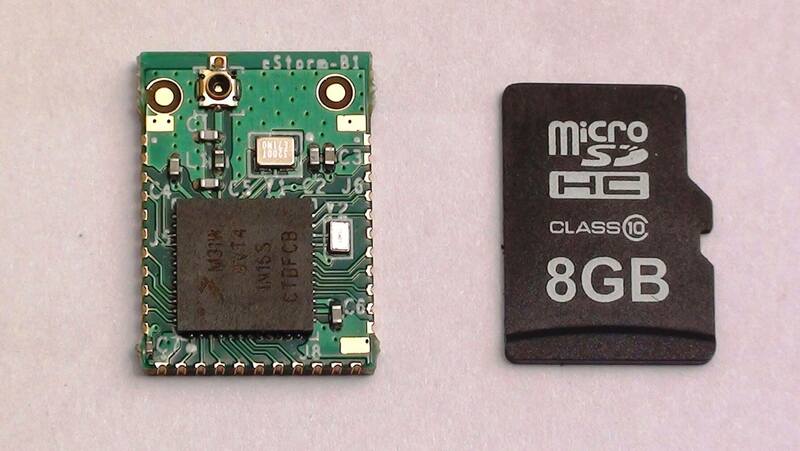 The module comes programmed with applications that enables raw data transfers over UART, I2C and SPI buses. 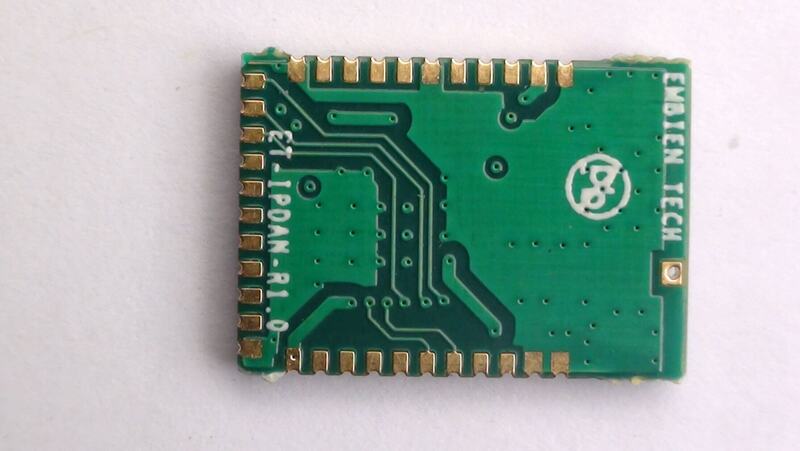 As an automotive ready BLE module it can be used directly in product that go in to the vehicles. 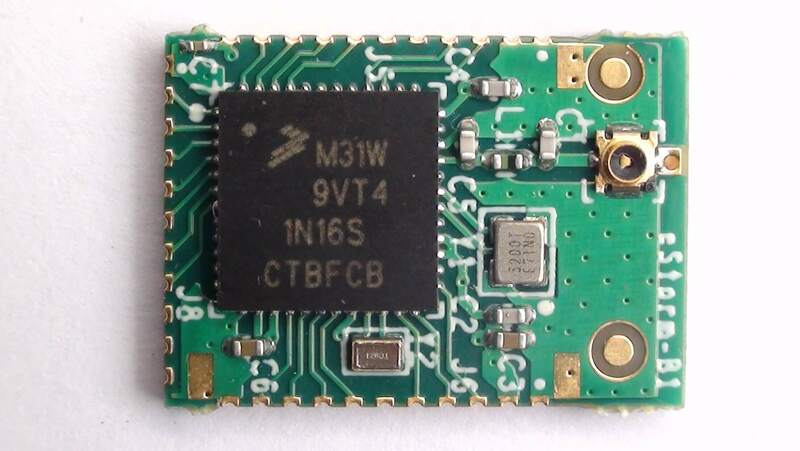 Once NXP launches the KW31Z compatible automotive grade BLE SoC “KW36A”, it will be available and can be used in place of existing module with no other design changes either in hardware or software. Inbuilt RF circuitry with impedance matching components for optimal radio performance. Kindly refer to the Hardware Manual for the eStorm B1 as well as other related files in the downloads section. Feel free to get in touch with us for to know more technical and costing of the eStorm-B1 module.